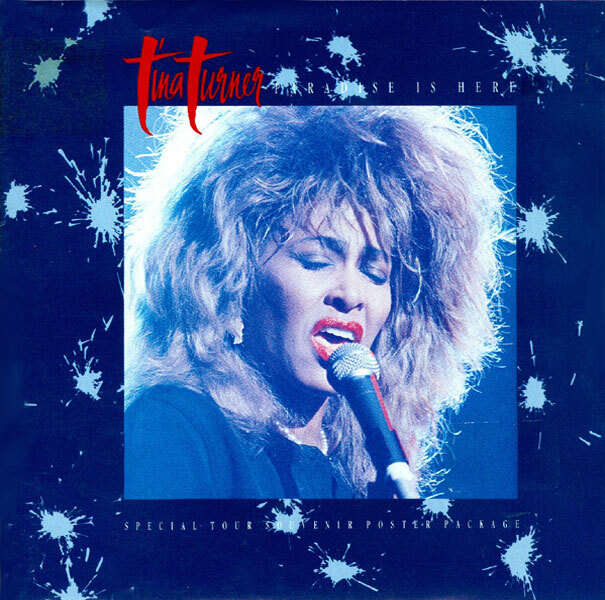 "Paradise Is Here" is a single from Tina Turner's album "Break Every Rule". This song was written by Paul Brady. Paul released his version in 1987 on his album "Primitive Dance". Tina and Paul weren’t the only ones who covered the song. One of Tina’s lifelong friends Cher covered the song as well for her album "It’s A Man’s World". As we mentioned, Paul Brady wrote the song but another friend who contributed to her previous album "Private Dancer", produced the song. We are talking about no other than Mark Knopfler. "Paradise Is Here" is a very strong ballad about a man who reaches out for the stars, wants to fly high and is living in the future, but his woman doesn’t want all of that. She simply says the future is this moment and we should live here in the now, because for her paradise is here. Tina released "Paradise Is Here" in 1987 in the middle of her Break Every Rule World Tour. She decided to tape her concert in Dortmund and that was the base of the official video for "Paradise Is Here". Tina sang the song at the end of her concerts in 1987 and 1988. The song never returned on her setlist in other tours ever again. We also don’t know if Tina ever performed the song in tv shows. 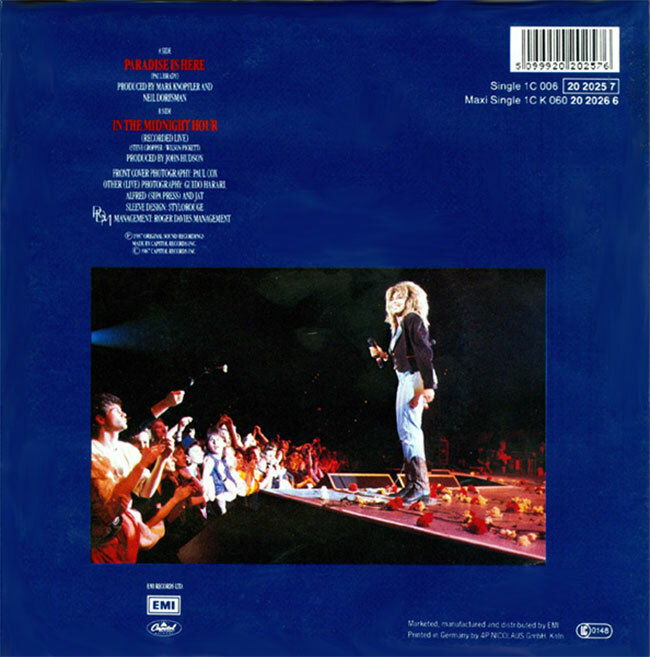 The edited live version was released on the "Tina Live In Europe" album. "Paradise Is Here" was released as 7" single and 12" single. However that doesn’t surprise anyone. Most fans do not know there are multiple version released. Fold out editions, Special tour edition and even a Poster edition was released. Some 7" versions are different. It was either the live in Dortmund edit or the full version of "Paradise Is Here" or the album version. The B-side is "In The Midnight Hour" (Live), a cover from Wilson Pickett. This song was recorded and taped during her Break Every Rule Live Special from 1986.